Liverpool has a wealth of dyslexic talent and not very surprisingly many are performers with the gift of the gab. Steven Naismith is Scottish and an ambassador for the Dyslexia Scotland (The National Dyslexia Association in Scotland). He was born in the town of Irvine. He now plays for Everton Football Club, as well as for the Scottish National Team. Steven was diagnosed with dyslexia at 13, at school he struggled to read and hated having to read out loud, but now he enjoys reading. Pete Price was born in Wrexham, Wales but grow up in West Kirby on the Wirral. In 2009, Pete was made an ‘Honorary scouser’ by the Lord Mayor of Liverpool. He has been a Radio City DJ for over twenty years, and has a column in The Liverpool Echo. In 2007 his autobiography was published called Pete Price: Namedropper. Faith Bebbington has been a professional artist since 1994, with a studio base in Liverpool. BA Hons. Degree in Fine Art: Sculpture from Winchester School of Art 1986. 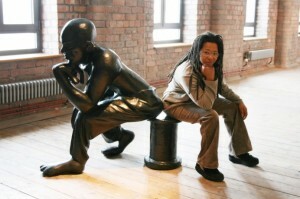 Postgraduate Teaching Certificate in Art from Liverpool John Moores University 1992 Member of the National Black Arts Alliance. John Lennon struggled at school and this is one of the reason he is consided dyslexic (see links below for a fuller explanation). The drawing is by Artist and illustrator Vince Low who is dyslexic and from Malaysia. 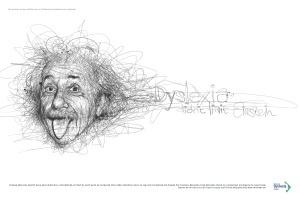 The drawing was part of a project for the Dyslexia Association of Malaysia to help raise awareness. This project was called ‘Faces’ and included illustrations of other famous dyslexics such as Pablo Picasso and Albert Einstein. Margi Clarke was born in Liverpool and brought up in Kirkby on the outskirts of the city. she is a famous actor and presenter. 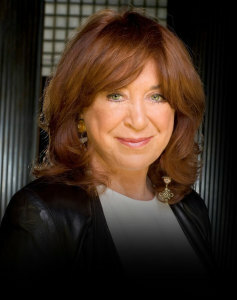 Famous screenwriter and bestselling author was born and brought up in Liverpool. writer of such successful television shows as Widows, Prime Suspect and Trail and Retribution, at school they consided her ‘backwards’.